The university said it is investigating how the students gained access to the clock tower in Keating Hall. 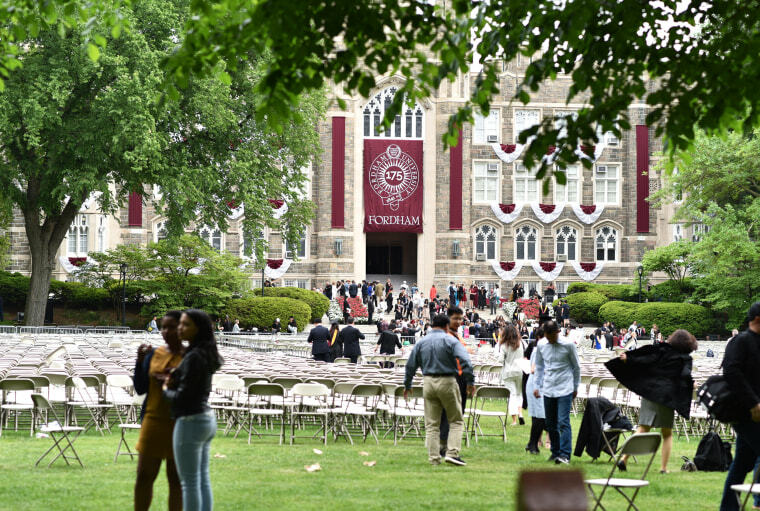 A Fordham University student was critically injured in a fall from a clock tower early Sunday morning, according to a statement issued by the university. The student, a senior at Fordham College at Rose Hill in the Bronx, apparently climbed into the clock tower of Keating Hall on the campus at approximately 3 a.m. with friends, the university said in the emailed statement. The student was rushed to St. Barnabas Hospital and the student’s family was notified. The university said it is investigating how the students gained access to the tower.